This week were announced some highlights of the remarkable collection of the newly opened Aga Khan Museum in Toronto. From this long list, I’ve made a short list of my own favorites. You cannot view entire manuscripts, but the individual images presented are of very high quality, so those interested in paleography, codicology, &c. have plenty to feast their eyes and minds on. I’ve included a few non-manuscripts in the list, too. Tmirā I found it in the Proverbs [or tales] of the Arameans. I think it is tatmīr, that is, seasoned, salted meat. This is not a particularly special copy of the Lexicon; it’s just one I had immediately at hand. It is, not surprisingly, slightly different from Duval’s text, including the variants he gives. Note that the Persian word at the end is misspelled in this copy. 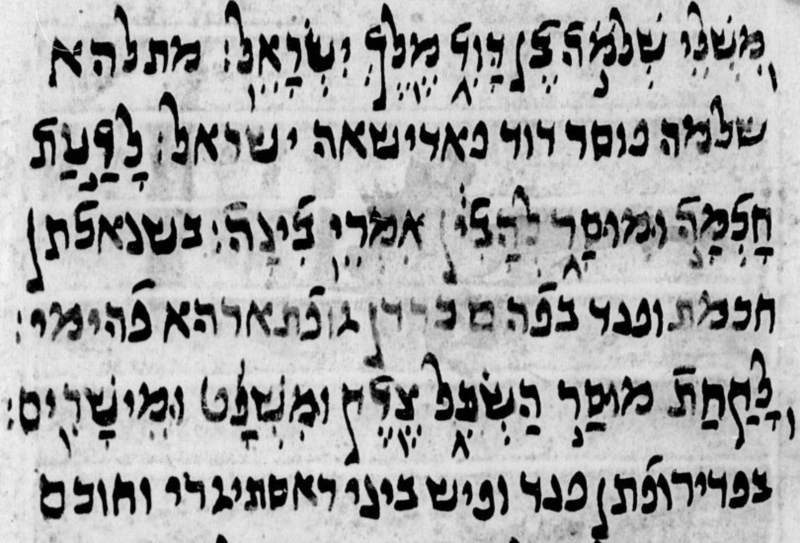 Payne Smith (col. 4461) defines tmirā as caro dactylis condita (“meat seasoned with dates”), with Bar Bahlul cited, along with some variation in another manuscript, including alongside tatmīr the word تنجمير. I don’t know anything certain about this additional word (rel. to Persian tanjidan, “to twist together, squeeze, press”?). The word tatmīr is a II maṣdar of the root t-m-r, which has to do with dates. The Arabic noun is tamr (dried) dates (do not confuse with ṯamar fruit), and probably from Arabic Gǝʿǝz has ተምር፡; cf. Heb. tāmār, JPA t(w)mrh, Syr. tmartā, pl. tamrē. (Another Aramaic word for date-palm is deqlā.) The Arabic D-stem/II verb tammara means “to dry” (dates, meat) (Lane 317). While the noun tamr means “dates”, the verb tammara does not necessarily have to do with drying dates, but can also refer to cutting meat into strips and drying it. Words for tatmīr in the dictionary Lisān al-ʿarab are taqdīd, taybīs, taǧfīf, tanšīf; we find the description taqṭīʿu ‘l-laḥmi ṣiġāran ka-‘l-tamri wa-taǧfīfuhu wa-tanšīfuhu (“cutting meat into small pieces like dates, drying it, and drying it out”) and further, an yaqṭaʿa al-laḥma ṣiġāran wa-yuǧaffifa (“he cuts meat into small pieces and dries it”). All this makes it doubtful that the word above in Bar Bahlul’s lexicon really has anything to do with dates. Why not simply “dried, seasoned meat”?